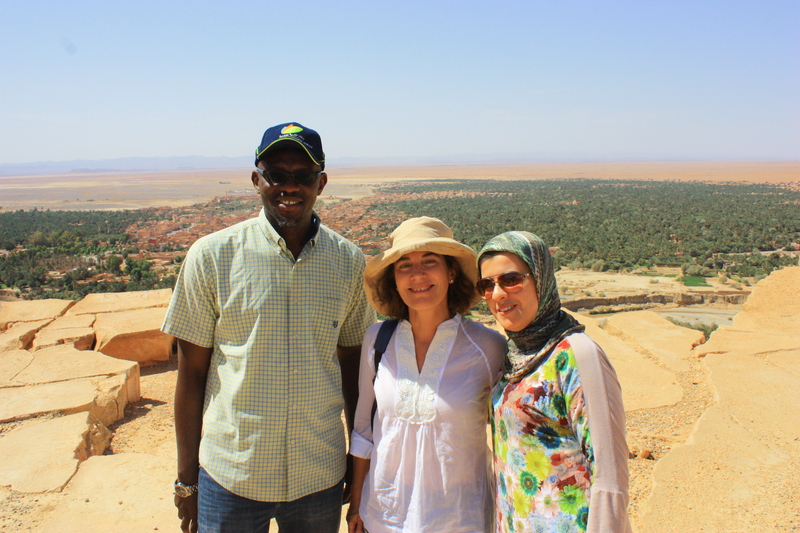 Washington, D.C. (March 26, 2019) — The Adaptation Fund lost one of its key experts and ambassadors who helped build the Fund through its formative years, when longtime staff member Daouda Ndiaye left the Fund at the end of February to take a position as Lead Adaptation Specialist at the Islamic Development Bank (IsDB) in Jeddah, Saudi Arabia. 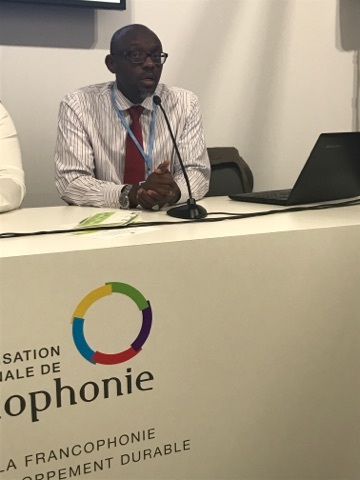 Mr. Ndiaye worked at the Fund for over eight years, starting as an adaptation officer in November 2010 and since July 2014 as a senior climate change specialist. He served as a key technical expert, supporting the growth of the portfolio, ensuring quality of projects, overseeing monitoring of results and helping the Fund develop from its early years into the full-fledged Fund it is today. He helped represent the Fund at key events, from the global, ministerial to the community levels, building relationships with beneficiaries, implementing partners, contributors and other key stakeholders. A multilingual Senegalese national with a PhD from Pierre et Marie Curie University in Paris, Mr. Ndiaye had built a vast working knowledge and network of the Fund and built strong links with governments, NGOs and regional organizations – particularly in African Francophonie countries with whom he established a long-term partnership with the Institut de la Francophonie pour le Developpement Durable at UNFCCC meetings. During his tenure with the Fund, Mr. Ndiaye was a mainstay supporting the Adaptation Fund Board’s Project and Programme Review Committee, participating in some 20 Board meetings. He held key roles in the development of policy and project reports, and was known among his colleagues for his calm and accessible demeanor. Can you describe some of your experiences in the field with Adaptation Fund (AF) projects? 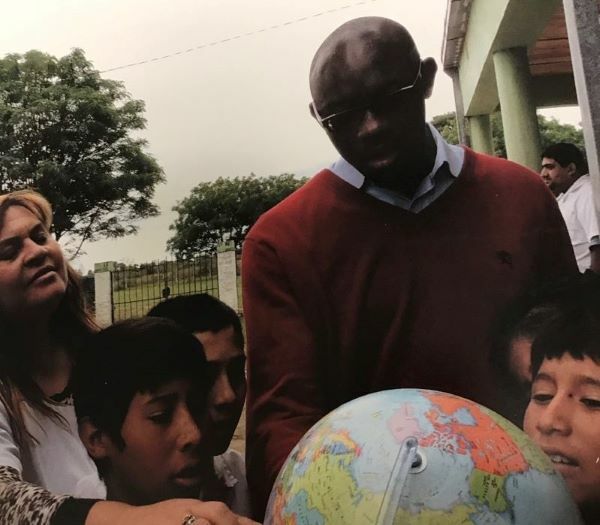 I participated in seven project monitoring missions, covering nine countries: Argentina, Egypt, Honduras, Jamaica, Nicaragua, Senegal, South Africa, Turkmenistan and Uruguay. These have been very inspiring visits during which I have been able to witness firsthand the effective work that was implemented on the ground following our technical reviews at the Secretariat. To see how intended activities on paper have materialized and discussing with the main stakeholders that have been involved in the process have allowed the Secretariat to capture key lessons and successful approaches, which were recently published by the Fund as part of a larger study. I have in memory meeting with communities in the Estero Real River watershed area in Nicaragua, the Southern Egypt region and the mountainous region of Nohur in Turkmenistan who have been empowered and supported to identify drought-related risks, plan for and implement farm-level adaptation solutions and implement local-level early warning systems and manage weather information systems. I was particularly intrigued by the concept of “protagonists” that was applied to empowered communities in Nicaragua, rather than “beneficiaries” and the whole philosophy behind that concept, which transpires through increased commitment from those communities. This also helped me understand the importance of the socio-cultural context in the design and implementation of successful adaptation projects. In all the projects we have visited, I have heard the same message mostly from beneficiaries about the need to provide additional resources to replicate the successful outcomes of the project, or “consolidate” them, hence confirming the huge adaptation needs in developing countries especially when it comes to the most vulnerable groups at the local level. I was also very proud to witness, in Morocco, Senegal, Jamaica, South Africa and Uruguay how the Fund’s pioneering Direct Access modality helped national institutions step up their game and take on the challenge of designing and implementing projects in compliance with national standards and procedures, in a very closely monitored ‘learning by doing’ process. This raised awareness of climate risks and impacts at the local and national levels, and strengthened institutional capacities to address those issues through identification and implementation of adaptation solutions, monitoring systems or traditional knowledge. Through reviewing dozens of AF project proposals and overseeing their implementation, could you share some insights on what has changed or evolved in adaptation over the years? At the time the Fund started being operational, most of the developing countries were at the end of the process of identifying their priority actions of adaptation in target sectors, and many had taken the exercise of implementing soft measures through capacity building and mainstreaming climate adaptation in key sectors, strategies, planning systems and policies at the country level. Ironically, such processes of ‘mainstreaming’, which was maybe naively thought to be somewhat easy to implement, is still today very difficult to achieve and is considered one of the bottlenecks to ensure the sustainability of the adaptation actions piloted or replicated on the ground. To go back to the types of concrete projects that were submitted to the Fund at the early stage, these were mostly pilot projects, already innovative, building from the identification of key climate risks and related drivers leading to the identification of adaptation needs and the design of appropriate adaptation responses — many of which were building from already-tested research-action solutions. The early projects have therefore helped build the “proof of concept” for adaptation solutions and approaches in various sectors and circumstances. I can cite the reduction of risks related to glacial lake outburst floods in Pakistan through the development of early warning systems and the strong engagement with communities at the local level, and mainstreaming into climate change policy at the national level. Projects in Solomon Islands, Nicaragua, and the Maldives addressed water scarcity issues through community engagement, local adaptation planning processes or investment in water retention systems at household or farm levels. Other projects included testing sustainable financial mechanisms such as piloting index-based insurance schemes, revolving funds or microfinance mechanisms in Argentina, Djibouti or Uruguay. The engagement with the private sector was also sought in the early stages in the areas of disaster risk reduction, coastal erosion or agriculture. Globally, looking back at the first projects that were approved by the Board, their proposed approaches and solutions are still very relevant and can still be seen in new proposals submitted to the Fund. Some approaches are nowadays increasing in the portfolio, such as ecosystem-based solutions, urban-level planning and solutions for resilience, community-based approaches and the link with countries’ NDCs (nationally determined contributions toward implementing the Paris Agreement’s climate resilient goals). Many of the projects funded by the AF, either completed or at a very mature stage, are now scalable or replicable using AF resources, other climate funds or national governments’ own resources. How was AF able to establish such a unique role and value for itself within the global climate finance landscape in such a relatively short time? I would say in two aspects: one is through the innovative set-up and modalities the Fund has offered since its launching. This included the variety of access modalities offered to countries, including the direct access modality; the innovative source of funding for the Fund through leveraging clean development mechanism market proceeds and the fact the Fund did not request co-financing because of that; and the small size of the Fund which allowed for a flexibility and an ability to test innovative approaches with a minimum of risks. The modality of direct access, which was piloted by the Fund, has been a success and an example of country ownership and institutional capacity building for adaptation planning and accessing finance. At the operational level, the Board and its Secretariat have played a great role in achieving the current success of the Fund among its stakeholders. The Board, with balanced geographical representation and members from both beneficiary and contributor countries, united around one goal: the Fund’s efficient and effective achievement of its mandate to deliver concrete action to the most vulnerable. The Secretariat, with a senior diplomat and long-time actor of the UNFCCC negotiations at its helm (Ms. Marcia Levaggi, who served as Manager from 2009-2016) supported by a small dedicated team, was able to efficiently deliver on ensuring a swift operationalization of the Fund. That work is being consolidated by (current Manager Mr. Mikko Ollikainen) who is a senior professional and has long served the Board and is currently delivering on building trust from contributor countries in the Fund’s worth to be invested in. This has materialized lately with a record amount of resources mobilized at COP 24. The “label” of ‘Adaptation Fund’ is, to my knowledge of international development institutions, one of the very few that has been praised as much as it has been by its different stakeholders. What are AF’s biggest strengths and legacies? The Fund’s biggest strengths are its Board and Secretariat, and its flexibility which encourages innovation. The biggest legacy so far has been its innovative direct access modality. The Fund has created a family, a community of practice among national implementing entities, which allows peer-to-peer learning and sharing of experience, supported with funding from the AF, from sizeable concrete projects to small readiness grants. The Fund’s successful achievements on the ground are indisputable, with a committed Board at its helm supported by a dedicated team of professionals in the Secretariat, ensuring swift project proposal review and approval processes and establishing strong policies, guidelines and safeguards — some of which have been groundbreaking in many ways. The biggest achievement of the Fund in my opinion has been this role of precursor and innovator as well as the relatively easy access of resources for developing countries that need it the most to address their urgent adaptation needs. What have you liked most about working at AF? Can you share a moment or experience that was particularly meaningful? I personally have always worked on small teams and the AFB Secretariat was no exception. This set-up allows for intense brainstorming and allows you to touch upon different areas of interest and hopefully make an impact, since decisions are made in a quicker and easier manner, compared with large, rigid, multilayered structures that require so many levels of clearance where things are moving in a slower manner. The working atmosphere is something I will particularly miss. Besides their professionalism, colleagues have such good spirit that it shows in the extremely positive perception that external stakeholders have of the Fund. There are so many meaningful moments I can think of! Interacting with project beneficiaries in remote areas in Argentina, Jamaica, Nicaragua or Turkmenistan was always an opportunity to see firsthand how the resources from the Fund are benefitting the most vulnerable in developing countries, including those countries that are considered as middle-income countries where the Fund has benefited the poorest communities. A memorable political moment would be at the COP 22 conference in Marrakech when, following very intense discussions among developed and developing countries’ representatives facilitated by the Moroccan COP 22 Presidency, the principle that the Fund ‘should serve’ the Paris agreement was agreed upon. This was key in the whole process which started with the adoption of the Paris Agreement at COP 21 and the inclusion that the Fund ‘may serve’ the Agreement. It concluded at COP 24 in Katowice, Poland last December where it was decided that the Fund ‘shall serve’ the Paris Agreement. 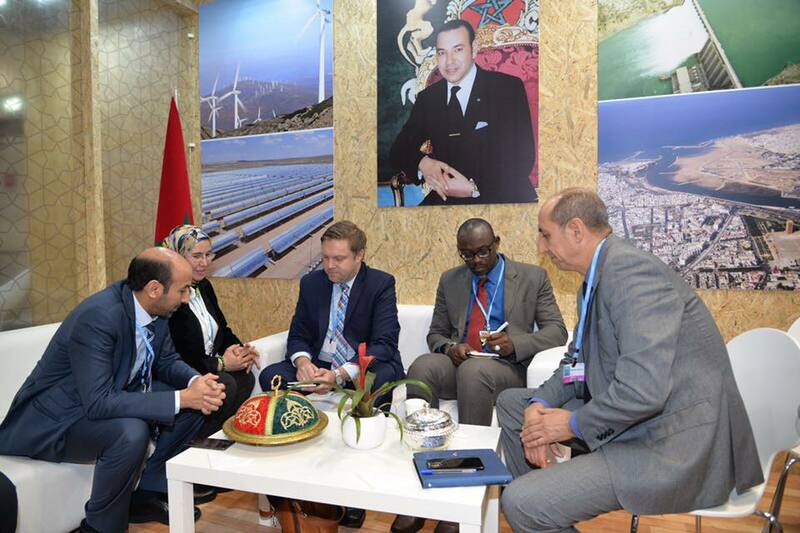 I was happy to be involved in building relationships with Morocco leading to COP 22, traveling to readiness workshops and project visits with the team. Seeing project results in the dry Oasis zone, where entire green areas have been created and ancient water canals revived to support the community was just amazing. Will you stay connected once you leave AF? Definitely! My main assignment will be to lead and coordinate IsDB’s activities related to climate change adaptation and ensure proper design and effective implementation of adaptation and resilience activities, including projects, knowledge reports or capacity building activities. Other activities could include liaising with climate funds such as the AF or Green Climate Fund to identify ways to collaborate either through accreditation as an implementing entity or co-financing projects at the country level. Since 2010, the Adaptation Fund has committed about US$ 564 million for climate change adaptation and resilience projects and programmes, including 84 concrete localized adaptation projects in the most vulnerable communities of developing countries around the world with approximately 6 million direct beneficiaries. It also pioneered Direct Access, empowering countries to access funding and develop projects directly through accredited national implementing entities.